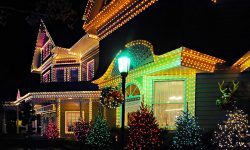 If you haven’t looked at LED lights in the last few years, their uses in your home might be limited to holiday lights. 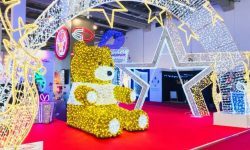 We love that LED Christmas lighting has earned a top spot in holiday decorating for their durability, ease, and longevity, but there are many uses for LED lights. 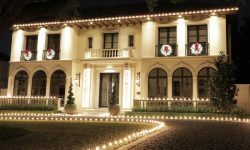 LED Christmas lights can provide your home with beautiful, year-around lighting that will give you the easy benefits you expect from your holiday LED lighting. Read on for a few ideas and inspiration, then please stop by our site at ChristmasDesigners.com for great prices on the quality products you can use not only for the holiday season, but all through the year. Patios, decks, gazebos and all things outdoors have gained popularity in the last decade. People love to entertain, and as a result the demand for outdoor spaces is increasing. The problem most homeowners face with these areas is that once the sun goes down, without lighting, they become tripping hazards. 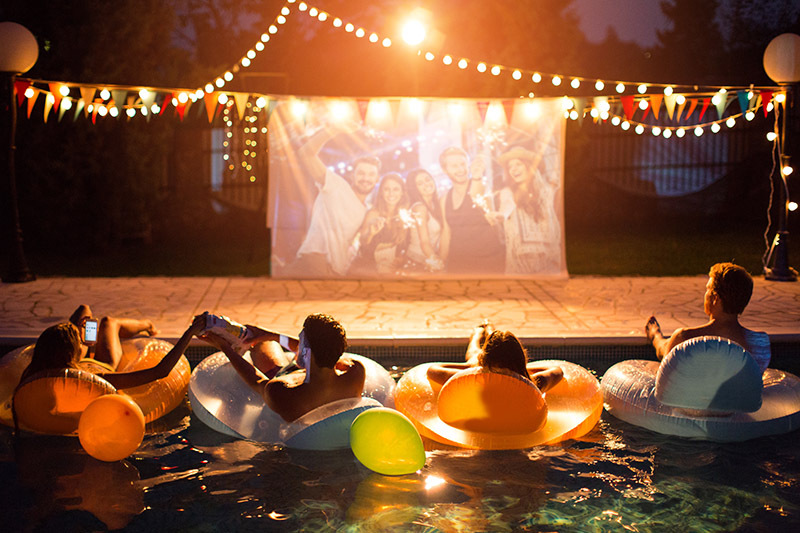 And who wants a lot of bright lights on while enjoying a relaxing evening outdoors. Thanks to the low energy usage and no heat output of LED lights, overhead drape lighting, also known as bistro lighting has become popular for outdoor entertainment areas. This type of lighting offers nice ambiance, without overpowering the area with illumination. Great for those late nights enjoying a drink with good company on the patio. The National Safety Council recommends good lighting inside and outside your home to help reduce trip and fall injuries. 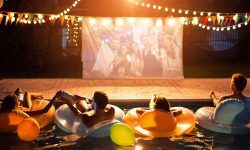 For the same reason people desire lighting around their decks, adding LED lighting fixtures around your pool or water features can increase the beauty and safety of these areas. Having the ability to easily view the water at night, without the additional cost of wired lighting, provides peace of mind. 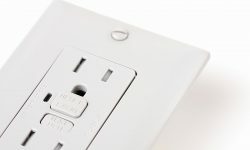 Always be certain any electrical outlet or plug is a safe distance from water sources and all outdoor outlets are GFCIs. If you’re hosting an event, you’ll want plenty of lighting. LED holiday lights are an excellent option as they are cost-effective, easy to install, and small enough for storage when not in use. ChristmasDesigners.com supplies LED lights in net, icicle and standard stringer light set varieties in multiple colors to suit your needs. The varieties offer homeowners nearly endless options in decorating. String lights can be attached to ceilings or wrapped around poles and trees. Net lights can be used over bushes or to create lighted curtains in a doorway and even unique ceiling mounted drapes. Icicle lights offer a whimsical touch that’s perfect for lining walkways or doors. Residential LED products use up to 85% less energy and last up to 50% longer than traditional incandescent lamps per the Department of Energy. LED lighting has uses beyond events and parties. Incorporating LED lights as a permanent fixture inside your home can offer a beautiful way to lower your energy consumption without compromising light output. Kitchen cabinets and drawers, stairways, bathrooms and more can benefit from the use of LED for added lighting. Consider creating attractive nightlights for younger children by placing a strand of LED holiday lights inside a small container or mason jar. This is where battery operated LED lights are especially useful. Your child will enjoy the visibility provided without the concerns for cord tangle hazards or hot plug-in nightlights that can be a potential hazard for young children. LED lights can be used around bathroom mirrors to increase the available light quickly and easily, without the need to install additional fixtures or wiring. Lights can be placed behind picture frames or even under furniture to supply a designer backlit effect to existing decor items. Beautiful chandeliers can be made by filling mason jars or other containers with string fairy lights to provide light in dark corners without additional wiring requirements. Likewise, wrapping organic materials such as branches in string lights that are then mounted to the wall provide an on-trend look for home decor. You can skip the mounting materials altogether and simply use LED Christmas lighting to create a design on your walls. Easily mountable, removable and strung on a flexible cord, light strands are perfect for this option and enable you to design one-of-a-kind artwork for any wall in your home. Lux Magazine named LED lighting as a top 10 lighting trend for 2018. These are just a few ideas to get you started on seeing LED lighting in a whole new way. The potential for decorating with LED lights is endless, and we hope that you’ve enjoyed these ideas. 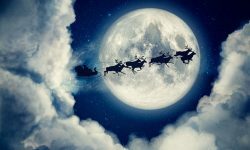 We look forward to serving you at ChristmasDesigners.com for your home decor and holiday lighting needs.